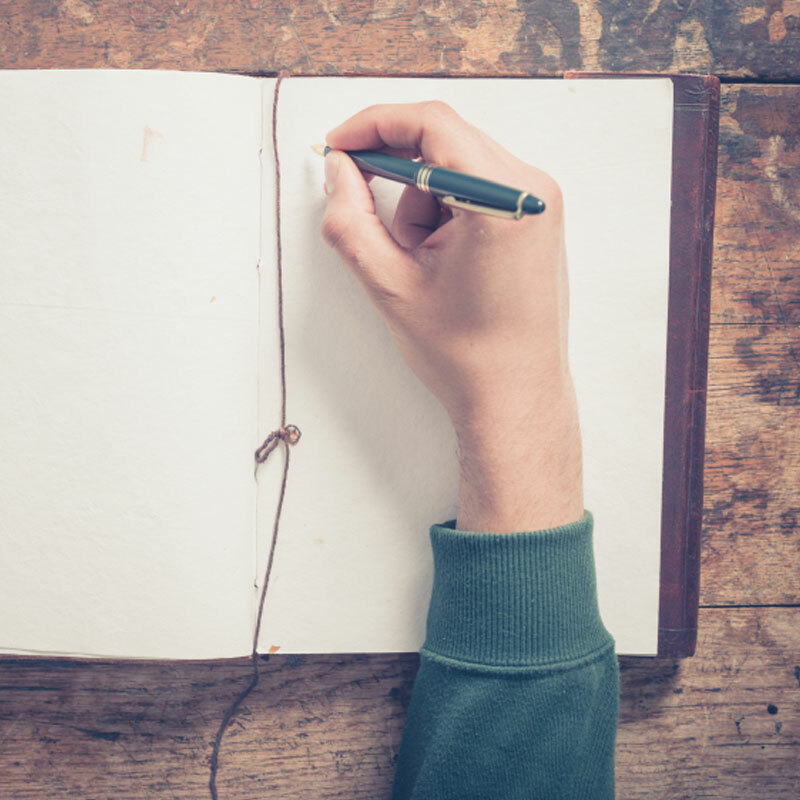 Your sister is getting married, which means it’s time to dust off the photo albums and old diaries and prepare to write the ULTIMATE sister speech. 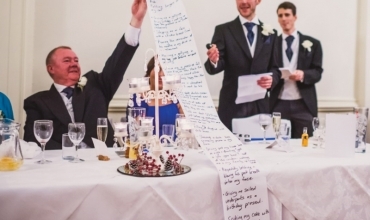 Sure, a sister of the bride speech isn’t particularly traditional. 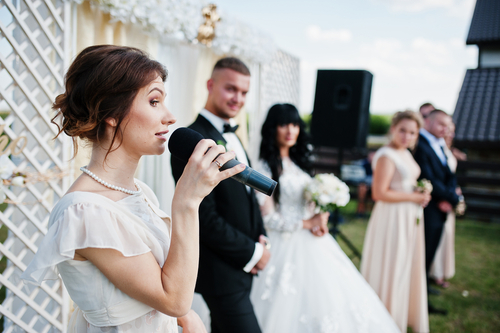 But siblings speaking at weddings are becoming increasingly popular, particularly, of course, if you’re maid of honour. Follow Speechy’s expert advice, and you’ll create a speech your sister will love and you’ll be proud to deliver. BOOM – that’s the best man blasted right out of the water. Why Is A Sister of the Bride Speech Special? Despite that passive-aggressive heading, you are the person who knows the bride better than anyone. And your speech should reflect that. Your parents are likely to be giving the sentimental speech, so your speech should be the honest, funny one. The arguments, the nights out, all the gory sibling details! Did you grow up squabbling or were you always as thick as thieves? Was one of you ALWAYS the favourite growing up? If so, it’s time to dish the dirt. Lovingly of course! 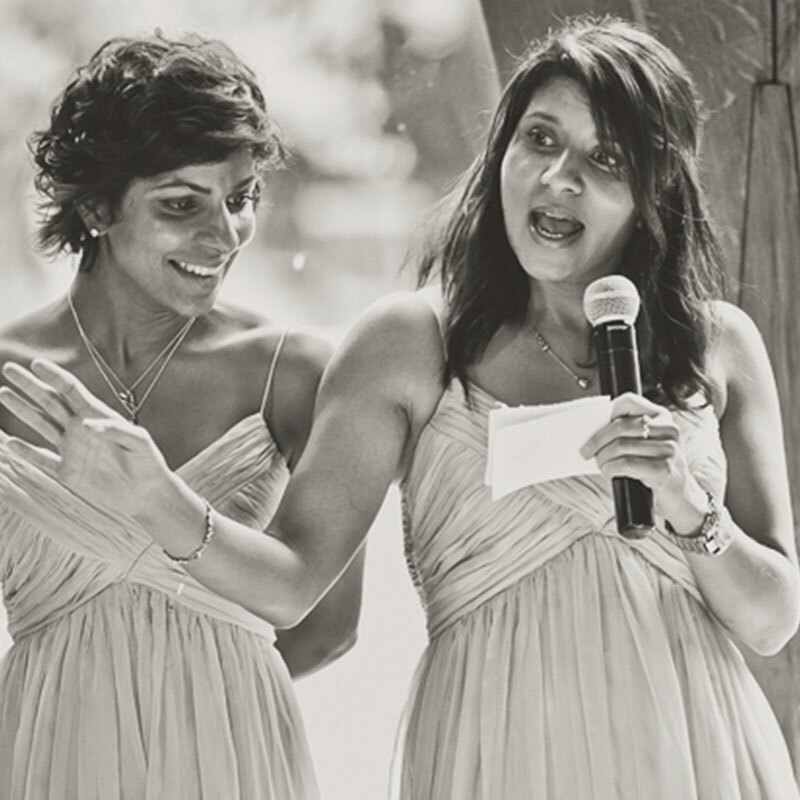 Your speech is essentially an extra-special maid of honour speech so check out our MOH Advice Page. You don’t have to worry about being too formal. 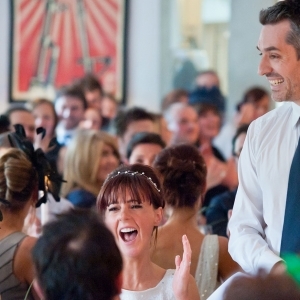 Tailor your speech to the style of the wedding. Is it a rock n roll affair, a traditional do, or a child-friendly bash? Think of your audience and decide if ‘ladies and gentlemen’ is necessary or OTT (generally it’s the latter). 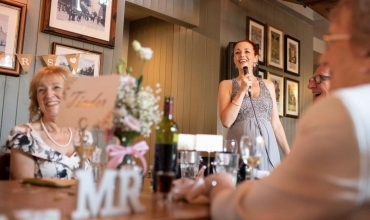 There’s no set-in-stone sister of the bride speech structure, which is great as it allows you to be unique! Our advice? Think of all your best stories about your sister and see if there’s a common theme. Or even just one, really great story that gets across EVERYTHING you want to pay tribute to. Get a bottle of wine in, maybe recruit a few mates and have a brainstorm. 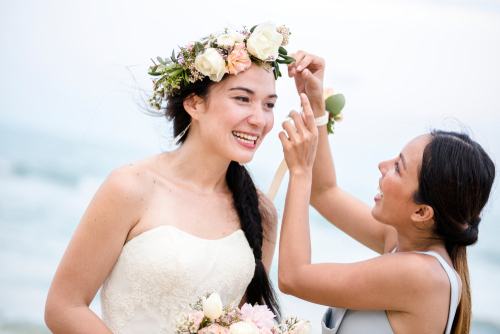 You’ll want to start it with as many funny things about the bride’s personality as possible — her taste in TV, her favourite crisps, the spin class she’s addicted to. Once you’ve built her character up, you can focus on your relationship. How she was always in the bathroom when you wanted to use it, or how she always gave you a lift into town when you were a teenager. Once you’ve ticked all the funny boxes, you can move onto the emotional stuff. Get them laughing throughout the first 2/3 of the speech, get them crying in the final third. If you can get them cry-laughing at some point, you know you’ve nailed it. As well as your sister, you also have to pay tribute to your new brother-in-law. Try to say more than just platitudes and give a sense of his character too. Recognise that they make a great couple…maybe concluding your speech with something like ‘Here’s to the happy couple. Because we all know a couple who watch Love Island together, stay together’. There aren’t too many but… most importantly… be funny! We cannot emphasise that enough. Sure, you may think your sister is the bee’s knees, and you can get as emotional as you want. But a great speech relies on funny memories, and if you’ve already made people laugh, they will be more receptive to the emotional punch at the end. Avoid jokes you’ve found off of Google (other search engines are available) or cheesy jokes. Concentrate on the character of the couple. Remember the adage; it’s funny because it’s real. One word of warning – keep the speech relatively short. Yes, we’ve told you to find LOADS of stories about your sister, but you don’t have to use them all. Be selective! If you can stick to five or six minutes, that should be more than enough time. You don’t want people checking their Whatsapp under the table. Preparing to deliver is incredibly important as – no matter how good your speech is, it won’t be a great one if you rush through it. So take your time, look at the audience and don’t mumble into the mic. And, just a pet peeve – don’t read your speech off your phone. If you’re using notes (totally fine by the way), then print them off on to thick, quality paper. If you really aren’t confident speaking in public, it may be worth checking out Speechy’s all-new delivery coaching service. However, with all these stories and truth-bombs at your disposal, we’re sure you’re going to storm it. We hope this advice has helped but check out the rest of our blog if you still need more inspo. But, if you still feel you need a bit more of a helping hand, contact us. 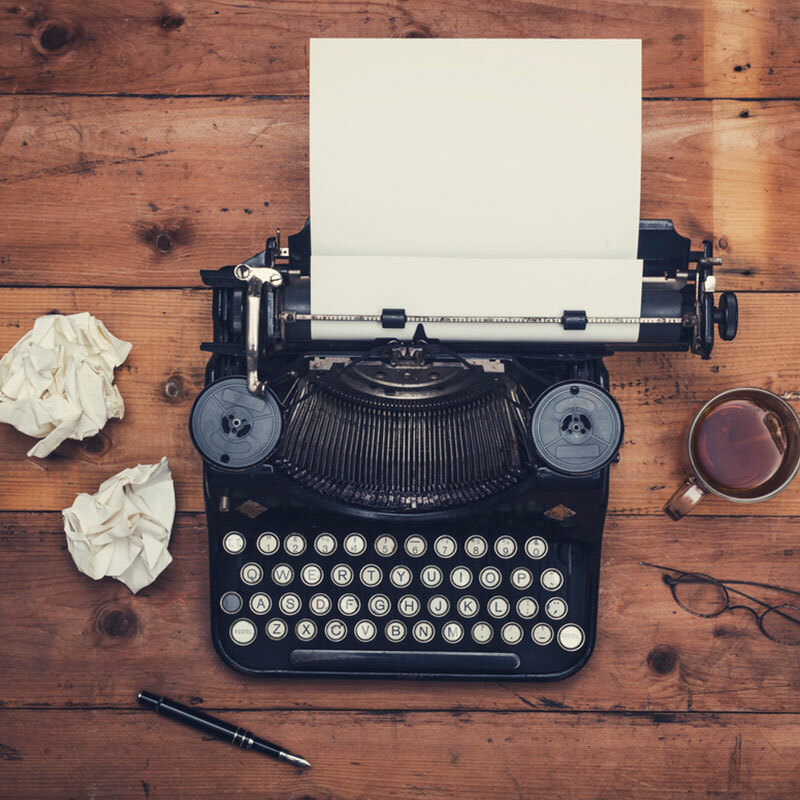 We’d love to help you write an amazing speech that you can’t wait to deliver.